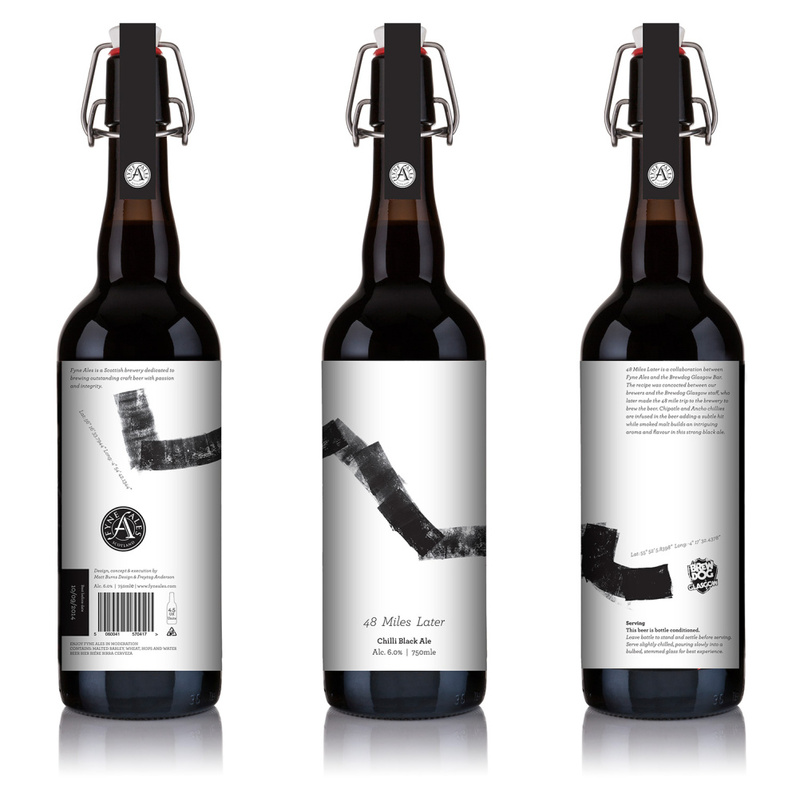 Glasgow-based consultancies Freytag Anderson and Matt Burns Design have created the label for 48 Miles Later, a Smoked Chilli Black Ale. 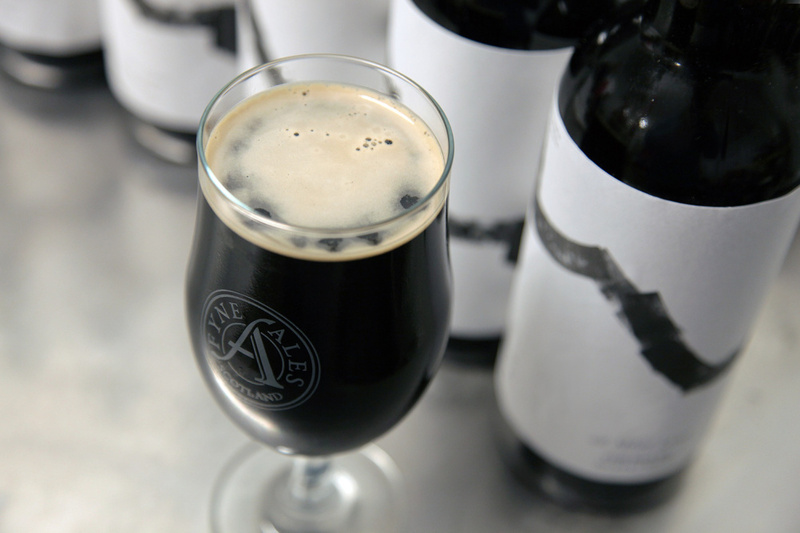 The product is the result of a collaboration between Fyne Ales and Brewdog, and takes its name from the distance between the Brewdog bar and the Fyne Ales brewery. 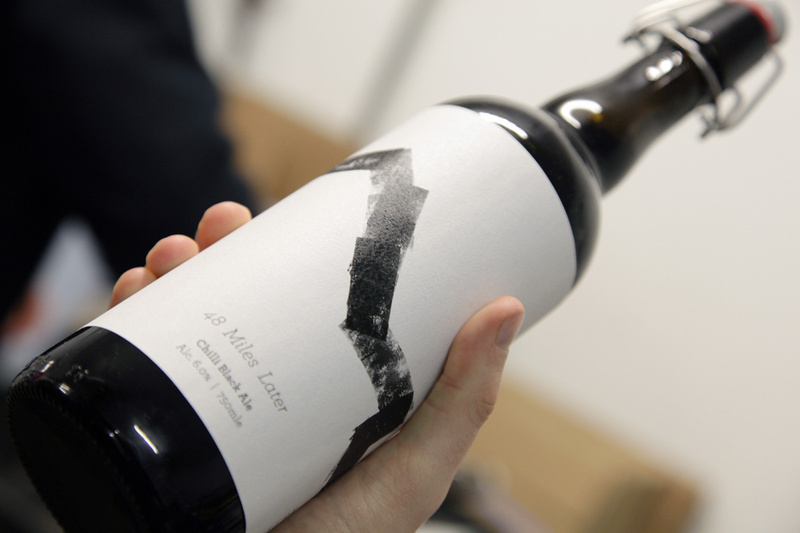 The label designs aim to reflect both locations, and the ‘breathtaking drive required to reach the brewery from Glasgow to the shores of Loch Fyne’, says Freytag Anderson. 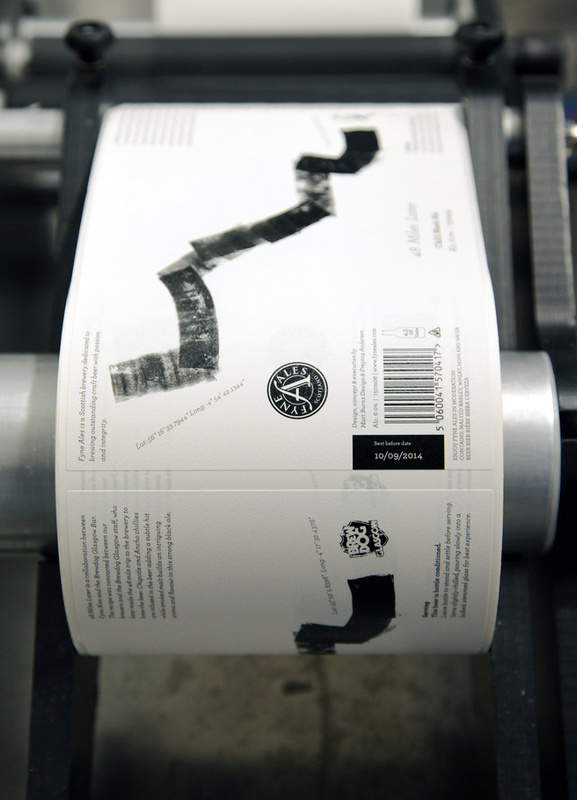 Black ink was rolled onto an A1 textured board to reference the journey and the hand-crafted nature of the ale. Matt Burns Design was appointed to work on the project due to an existing relationship with Fyne Ales, and brought in Freytag Anderson, which it shares a studio with, to work with it on the designs. Daniel Freytag, Freytag Anderson co-founder, says, ‘It was a very open brief, which allowed us to experiment a bit more with the concept. 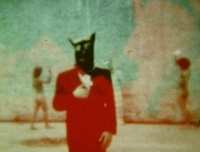 Freytag Anderson also created a brand film for the product, which can be viewed here.